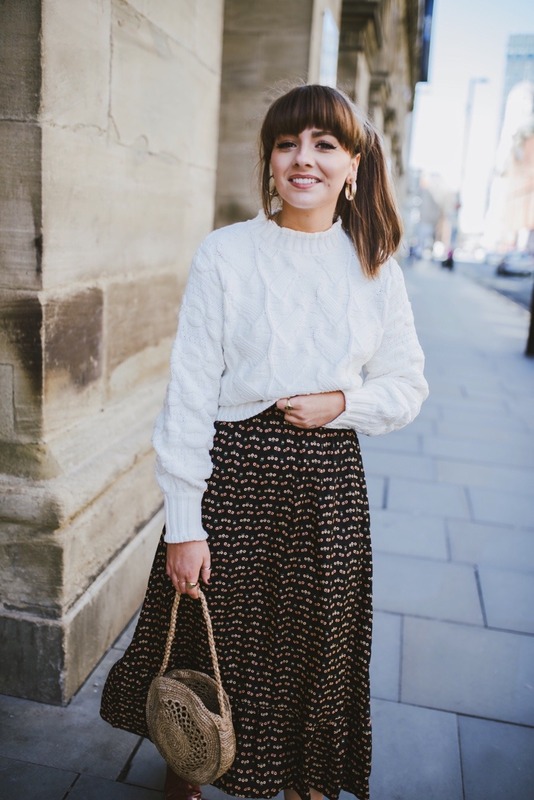 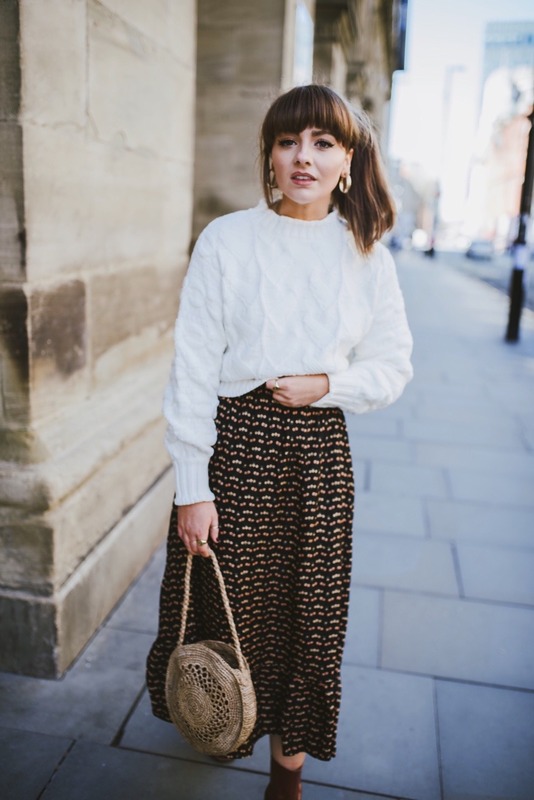 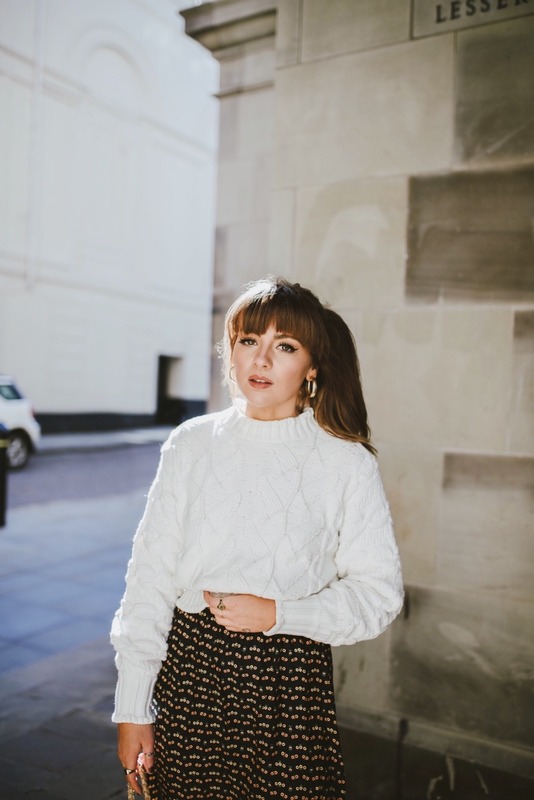 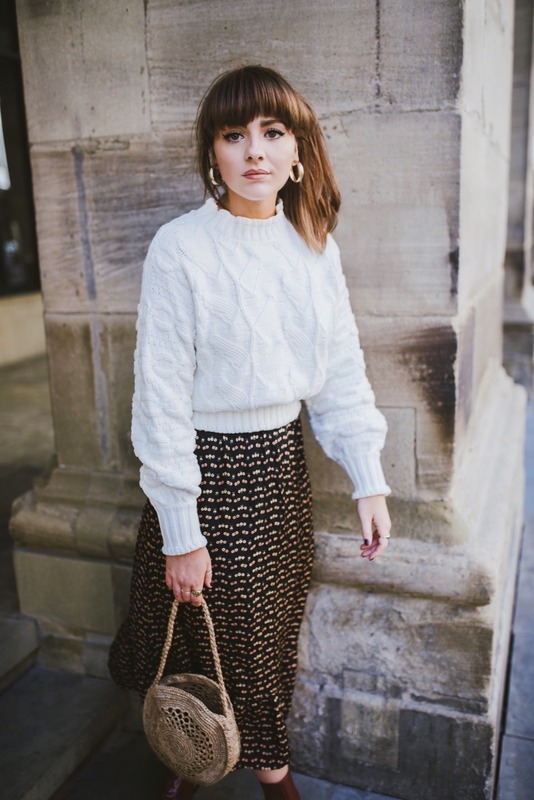 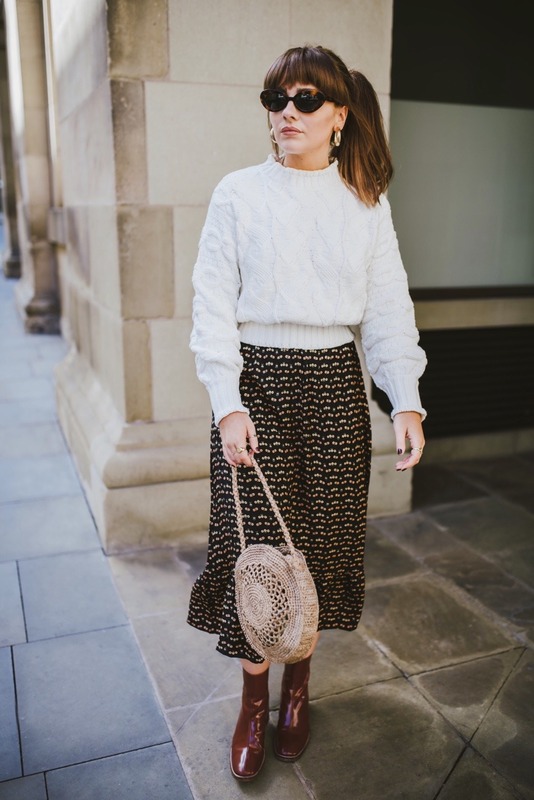 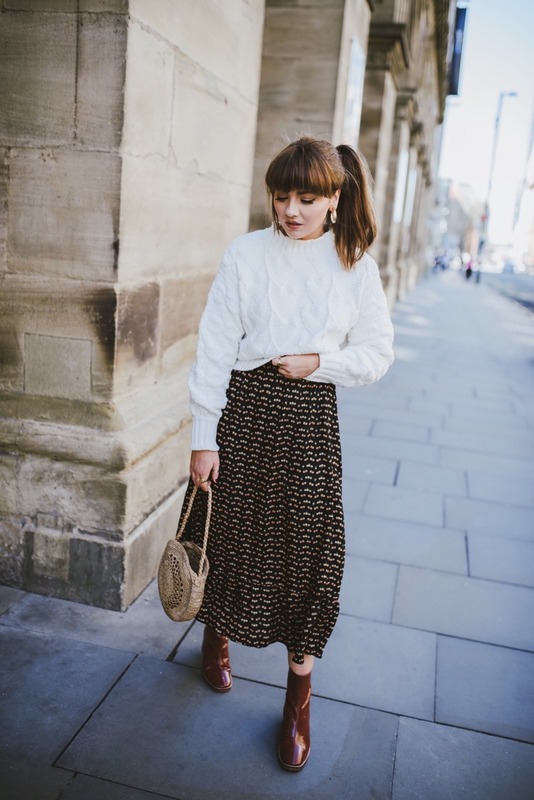 I’ve been trying to get as much wear out of my jumper collection whilst I still can, so I’m really enjoying mixing knitwear pieces with spring/summer prints. 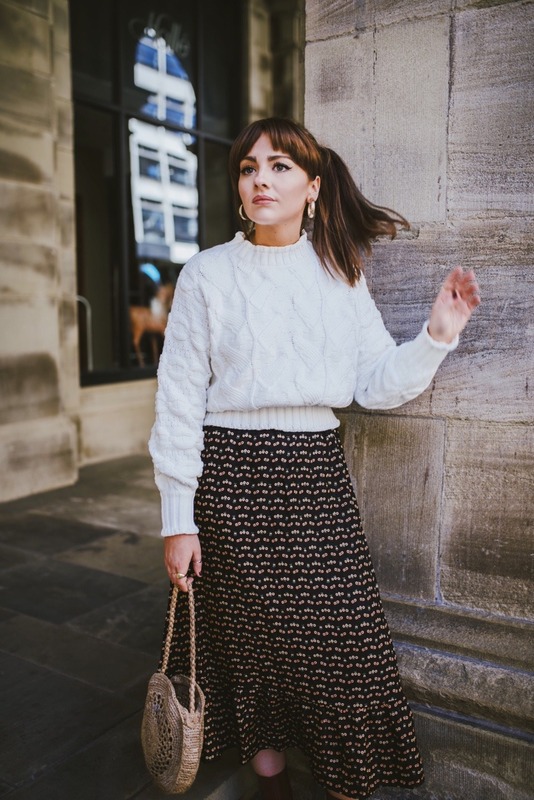 This one from And Other Stories is ideal because it has an elasticated waist – endlessly flattering when you’re wearing a longer piece underneath, it just creates an hourglass silhouette, and makes everything look a bit pulled together. 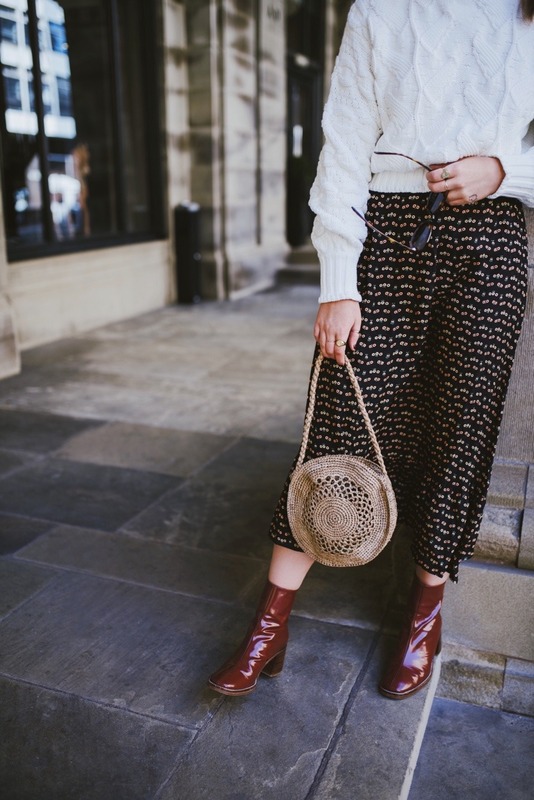 I love the contrast of the flowing material satin material against the cable knit of the jumper – throw on a pair of heeled boots and it just gives you that added height to avoid feeling frumpy. 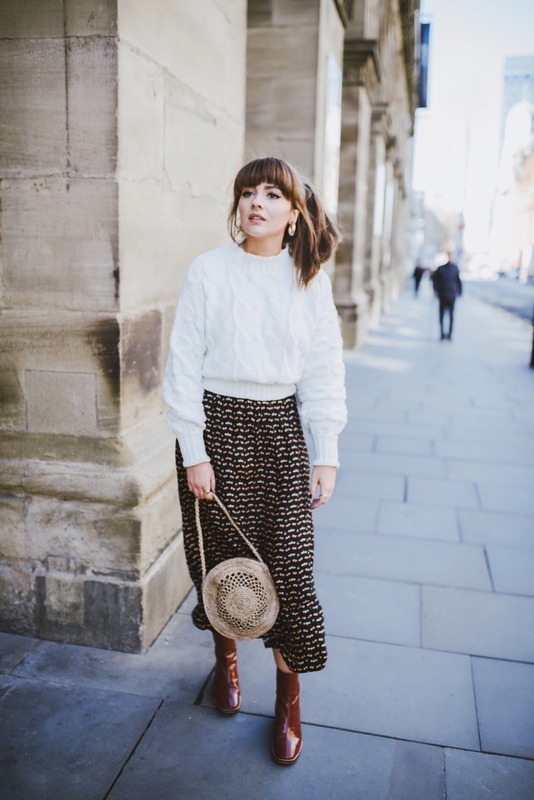 Your photos are always so lovely – and I want your hair! 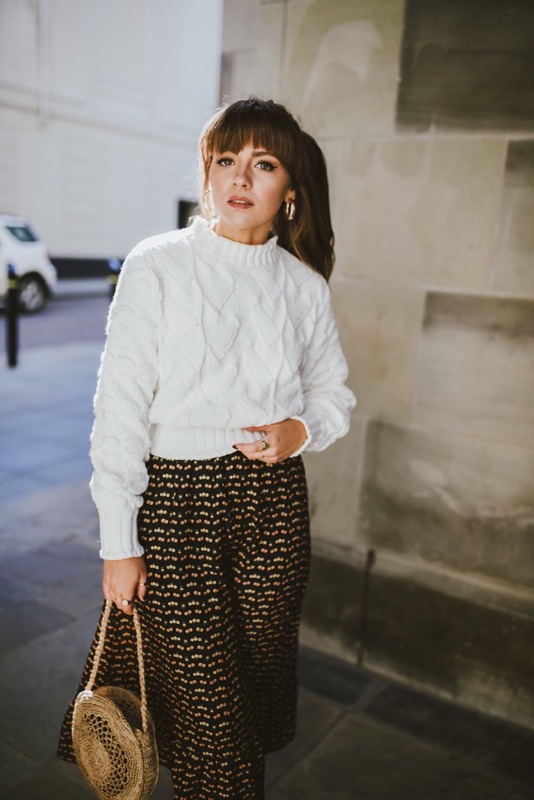 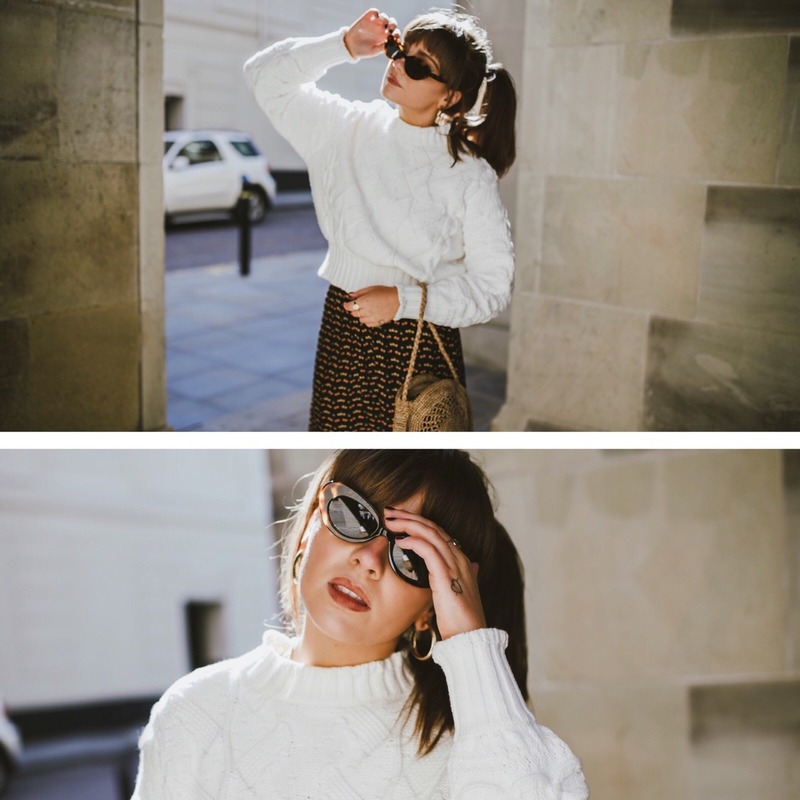 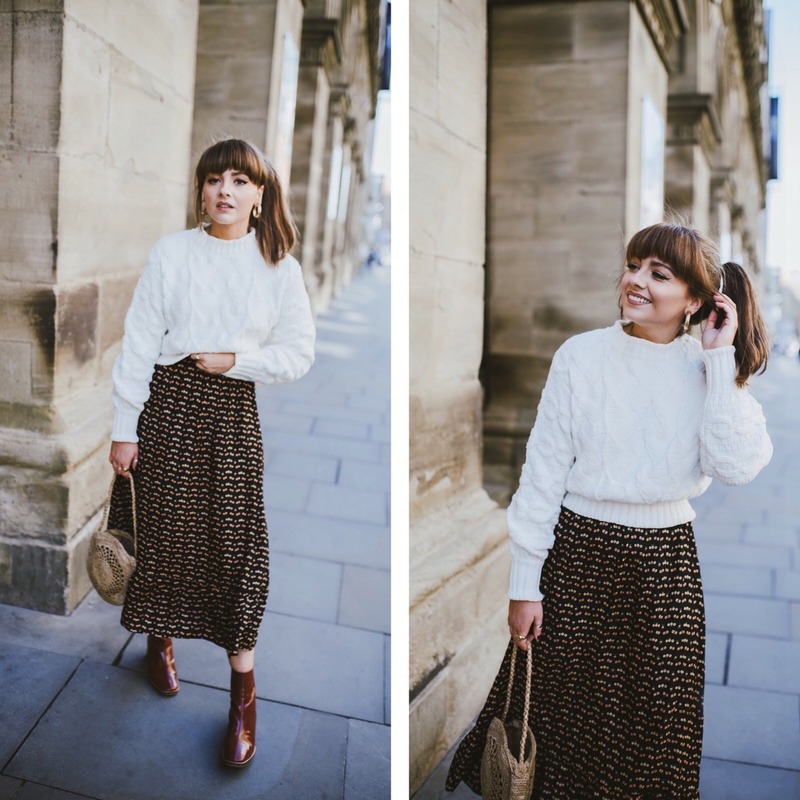 I totally agree about the temptation to always have new stuff when the seasons change – and you’re right once that initial ‘I must have what she is wearing!’ feeling passes, you usually realise you don’t think about it at all! 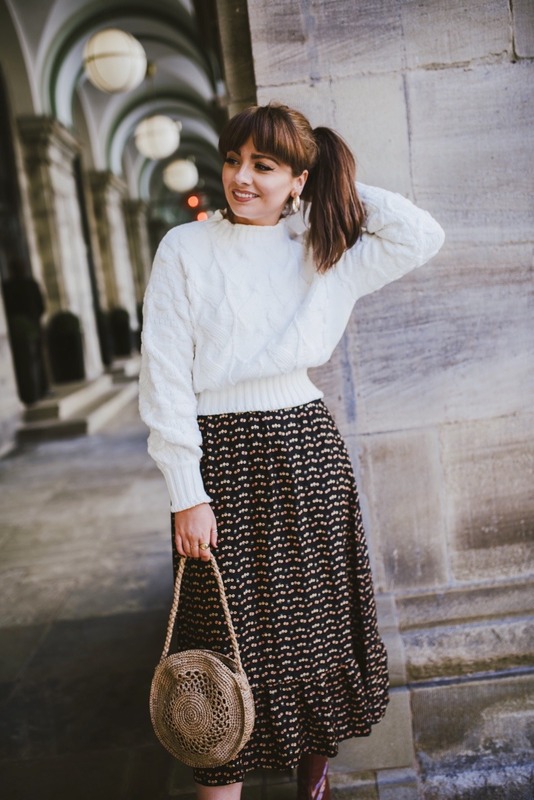 Always looking absolutely adorable and so retro perfect!